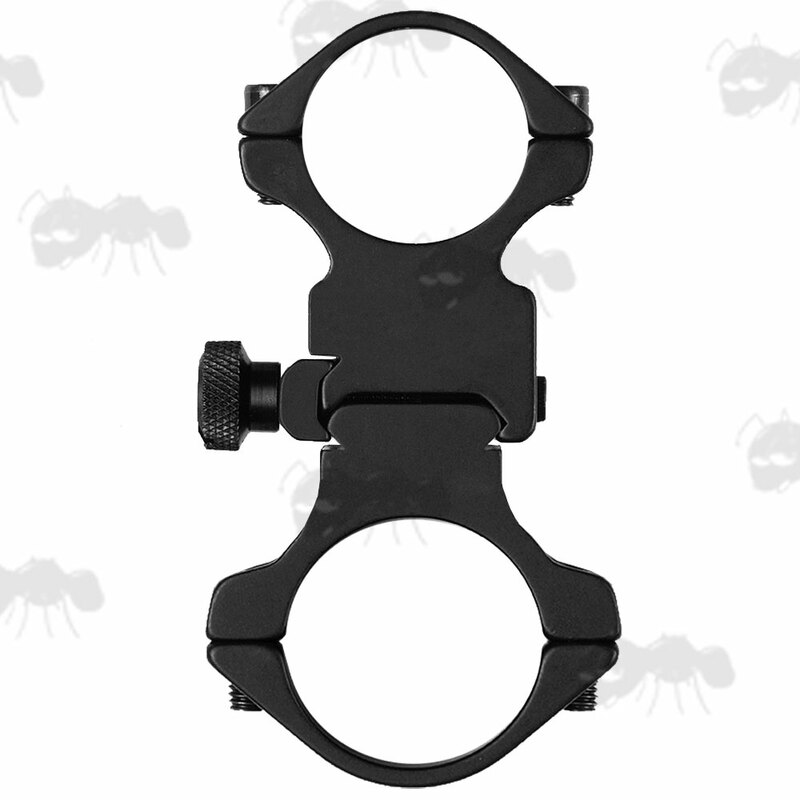 For mounting flashlights or lasers to the scopes tubes or mounts. Height - 55mm centre of scope tube to centre of torch. Height - 60mm centre of scope tube to centre of torch. 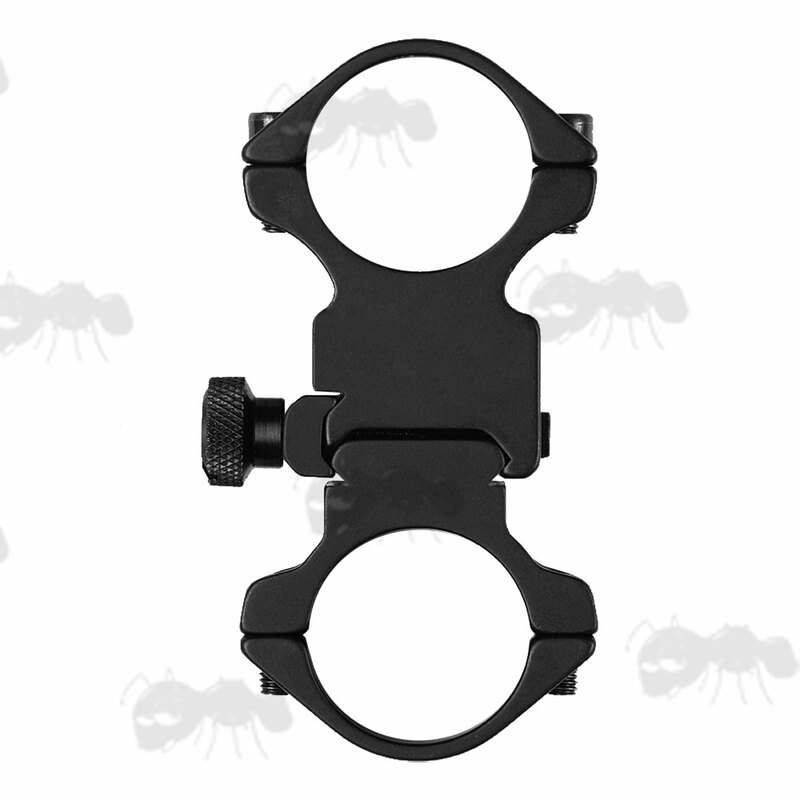 Quick-release torch mount for all torches with a 1" diameter body tube and 25mm / 30mm scopes. Torch can be removed in seconds, enabling your rifle to still fit in its case. 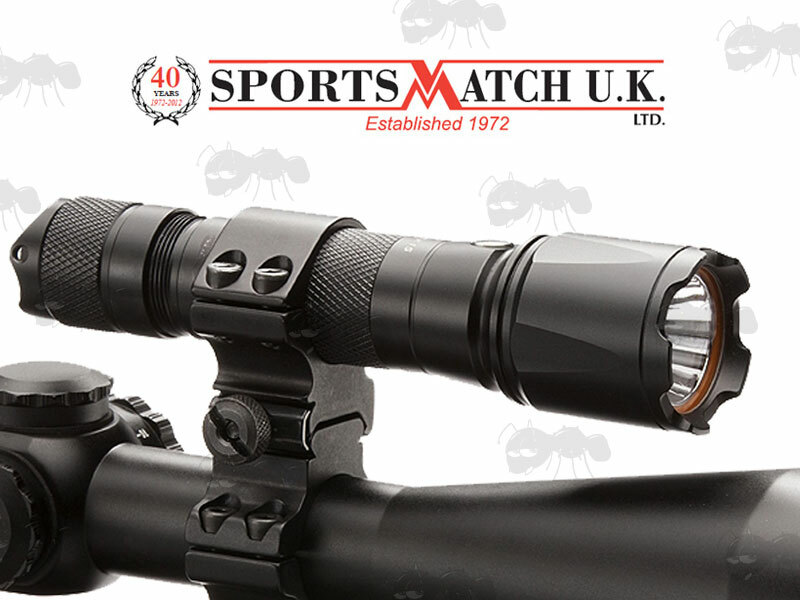 The unit can replace the top part of the ring on one of your SportsMatch mounts, so is an extremely solid fitting. Alternatively it can simply be clamped to the scope tube.